A corps member in any part of the country in their iconic uniform – khaki jacket, cap and combat pants paired with orange jungle boots – is one of the most recognizable Nigerian after personnel of security agencies. Even in the most remote villages, one is sure to see long-faced ‘corpers’ mentally counting the months until they get back to their version of civilisation. The debate over the relevance of the National Youth Service Corps (NYSC) scheme resurfaced recently following the certificate scandal that swept the former Minister of Finance, Kemi Adeosun, out of office and which also denied the Minister of Communications, Adebayo Shittu, from running for the governorship in Oyo State. The minister said he missed service year because he was elected a lawmaker after graduating from the university, a reason faulted by the NYSC. Speaking shortly before his disqualification on Thursday, Shittu said he was willing to enroll for the NYSC if it becomes necessary. The minister, who obtained a leave from his ministerial service to pursue his governorship ambition last month, also said he was not alone in the skipping of the compulsory NYSC scheme. He said there are others who are seeking elective positions without having participated in the scheme, but he did not name them. Before the recent brouhaha over certificates, the posting of youth corps members to volatile parts of the country, especially in the northeast experiencing the Boko Haram insurgency had elicited the debate on the relevance of the scheme. 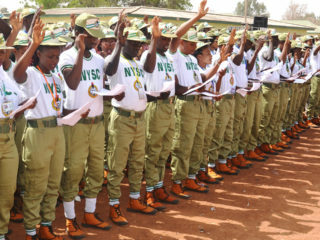 Created in the wake of Nigeria’s civil war, the NYSC is in its 45th year. It is a compulsory one-year scheme for graduate students under the age of 30, which combines short, military-style training with community development work in the country’s hard-to-reach rural zones. Another aim is to foster national unity and love for the country. Although the Gen. Yakubu Gowon (rtd) administration established the NYSC scheme in 1973 by Military Decree No. 24 to foster unity among Nigerians, over the years its relevance has come under severe scrutiny, with some Nigerians saying it should be scrapped because the lives of the nation’s youths are no longer safe in the places of their primary assignment. Many fresh graduates who participated in the scheme in the past readily attest to the fact that the scheme was well thought out because it enabled them know the cultures and mingle with peoples of tribes where they were posted to serve. That pleasant nostalgia has since given way to the nightmarish experience current corps members face in the light of the prevailing security challenges across the country. When Olusola Samson got the call telling him that he was being sent to Borno State, northeast, for national service, his heart fell. Originally from Osun State in the southwest, the 24-year-old graduate from University of Ibadan had hoped to be sent to the eastern part of the country, where conditions are said to be more bearable. After his experience, he says, “Borno is one of the worst states to serve in Nigeria”. Samson’s NYSC stint began with the customary three-week orientation camp, where each new batch of corps members is taught to march in formation and navigate physical obstacle courses. “The state of the facilities was an immediate shock. I didn’t have my bath in the bathroom. I had to go outside. I ate the food we were served like, five times, and was always suffering from diarrhea,” he recalled. Yet, as terrible as it sounds, the camp experience is the most enjoyable part of the NYSC scheme, admits Samson, which many who had gone through the scheme agree too. In spite of the hardship, the intense bonding is something to relish. After surviving camp, corps members are sent to rural areas to live and work. Samson, who studied Forestry, was sent to a public school in Baga, Kukawa Local Government Area, a small fishing town three hours away from the state capital in Maiduguri. In isolated areas where a government presence is rarely felt, corps members are a reminder that the residents have not been completely forgotten, but that reminder can come at a cost. A total of 700 out of 1,289 corps members serving in Borno were recently redeployed. The NYSC coordinator in the state, Alhaji Rabiu Katsina, disclosed this in a meeting with newsmen in Katsina after the closing ceremony of the three-week orientation exercise for the 2018 Batch ‘B’ corps members. Katsina said the corps members were redeployed due to challenges ranging from insecurity and ill-health to marital issues. He said: “We cannot stop the corps members who seek redeployment for health reasons. We have to release them to their respective parents who will continue to take care of them. The same thing applies to female corps members who are married. But to encourage those who stay to serve, the coordinator said Borno State government pays various monthly allowances to corps members, aside from the normal allowance paid to them by the NYSC as an incentive. “Borno State pays N100,000 monthly to corps members who are doctors and N50,000 allowance to corps members who are paramedics, including nurses and physiotherapists. Also, the Commissioner for Poverty and Youth Employment, in Borno, Hajiya Inna Galadima, said the governor, Kashim Shettima, ordered the relocation, giving security situation in the state as reason for the relocation. She added that no corps member has been reported killed in Borno since the beginning of the insurgency seven years ago. Samson is one of the 300,000-odd Nigerian graduates who serve annually. It is a rite of passage and essential for career advancement. All senior government posts require an NYSC completion certificate. Ayo Sogunro, a human rights lawyer, author and activist, argues that asking graduates to sacrifice a year of their lives in the service of national unity is too much. At the very least, he said the Federal Government urgently needs to improve camp conditions as a matter of human rights. “If tertiary students across the country cannot be taught the diversity of the Nigerian experience through short courses and exchange programmes over their four-year course, then one year post-graduation scheme will not radically change their mind-set,” he said. The scheme doesn’t come cheap. The Federal Government sinks about N70 billion into it every year, which includes the N19,800 monthly allowance for each corps member. This is barely above the minimum wage and most corps members struggle to get through the month. Education activists argue that this money could be better spent helping to revamp education in the country’s 10.5 million unschooled children. Expected outcomes were for: Members to be gainfully employed during and post the programme; members find their regions of primary assignment as sources of blessings to them both emotionally and functionally; and inter-tribal mix will breed national unity and marriages. But the growing trend over the years has been: People are beginning to work their postings to more convenient states because of the job drought nationally; corps members are retained on unrealistic allowances that is not enough to feed them for more than one week while they are hundreds of kilometers away from home; accommodation not guaranteed; some tribal regions are harsh to others making the stay very unpalatable; and sadly, if you have your money, you can pay your way through the programme without attending at all. 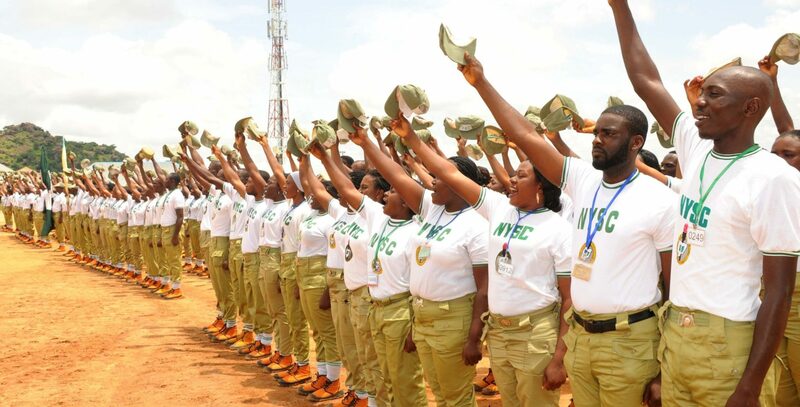 Last year, the National Assembly voted to remove the decree establishing NYSC from the constitution, making it easier to change the scheme by amending the law. But what changes should be made? Critics often argue for one of three things: that it should be made voluntary, turned into a job creation scheme or terminated altogether. Each of these may be counterproductive at best. Nigeria needs national unity now more than ever, and the problem with NYSC lies not in its mission, but in its implementation. Critics of the scheme also cite the systemic rot that is characteristic of many Nigerian institutions. Wealthy families are able to avoid service by paying off NYSC officials for their certificates or influencing their deployment to favourable locations. David Adeleke, popularly known as Davido, the 26-year-old hip-hop superstar, recently caused a storm when he signed up for the scheme at the Lagos camp in August. He spent only a day there — enough time to give an impromptu concert to his delirious fellow corps members — before jetting off to perform in the United States, a move that attracted criticism for his brazen flouting of regulations. Despite the criticisms, the NYSC Coordinator in Lagos, Mr. Muhammed Momoh, reiterated the commitment of the scheme to socio-economic development of Nigeria. He said the NYSC came up as a child of necessity to create unity among youths from different parts of our country and to prepare them for future leadership. “Despite the challenges over the years, the corps has done excellently well. We are committed to the socio-economic development of Nigerian communities, and we collaborate with development partners in different developmental fields to achieve optimal result,” he said.